SEOUL – The handlers for 2PM singer Nichkhun feel that it is time for him to further blaze his own trail too. On Monday at 6pm, he is set to release an EP, called Me, in South Korea. It will be his first record as a solo artist since he joined the South Korean boyband in 2008. 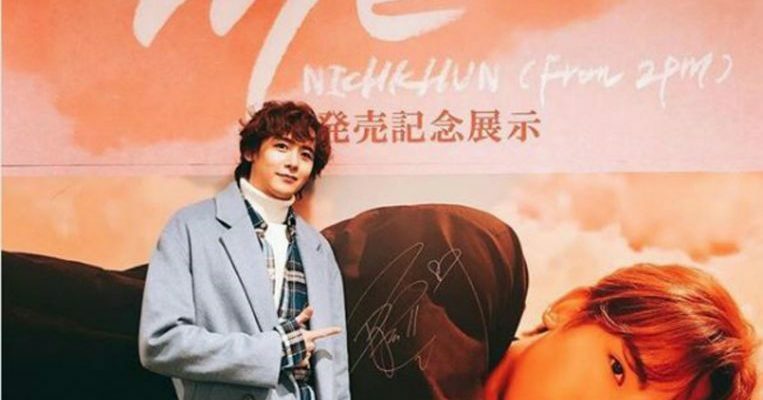 Nichkhun’s move to ramp up his industry presence comes after he rolled out his first solo record of the same name in Japan in December. He also stretched his wings as an independent artist with a first solo tour last November and December that saw him performing in Osaka and Tokyo. Last year, his fan meetings in Japan, Thailand and China were sell-outs. Dubbed the “Thai prince” by fans, the United States-born Thai singer is one of the most popular foreign-born celebrities in South Korea, having appeared in a number of variety shows and dramas on television, reported The Korea Herald. A Thai film starring Nichkhun, titled Brother Of The Year, is slated to open in South Korea next month.